Our full suite of business management and enterprise resource management (ERP) solutions can help you effectively manage and control your financials, supply chain, manufacturing, operations, reporting, and human resources activities. With enterprise-level tools, you can maximize sales efforts, handle inventory tracking, increase financial control, and improve your relationships with customers and vendors. EEMC’s solutions will enable more complete internal visibility to help you make better decisions about how to improve profitability and efficiency. We offer targeted solutions for a number of verticals and industries, such as financial services, investment management, human resources, customer relationship management, construction, real estate, project accounting, manufacturing, distribution, performance management, business analytics, and more. No matter the solution, we design our systems with flexibility to best automate your unique business processes and accelerate your organization’s success. We partner with leading technology vendors to offer complete management solutions that give you visibility into your operations. 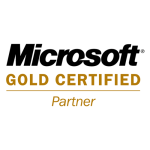 Microsoft provides improve operational efficiency, reduce security risks, and enables new business opportunities. Microsoft Partnership gives EEMC strong image as one of the best IT companies in Kuwait. 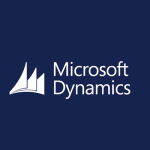 EEMC provides Microsoft Dynamics-AX and NAV and other add-on related which are designed for specific vertical businesses.